Sheikh Ahmed bin Saeed Al Maktoum is President of the Dubai Civil Aviation Authority, Chairman and Chief Executive of Emirates Airline and Group, Chairman of Dubai Airports, Chairman of flydubai, Board Member – General Civil Aviation Authority of UAE, Second Vice Chairman Dubai Executive Council and Chairman Dubai Supreme Fiscal Committee, among others. Over the past 30 years His Highness Sheikh Ahmed Bin Saeed Al Maktoum has been at the forefront of Dubai’s remarkable economic development spearheading the successful expansion of aviation and, more recently, formulating economic, investment and fiscal policies and strategies in support of the emirate’s overarching vision. ​​Vice Chairman of the Board of Directors, Dubai Culture & Arts Authority and Vice Chairman, Emirates Literature Foundation. HH Sheikha Latifa draws her own cultural outlook from the city’s distinctive Emirati heritage, its contemporary urban identity and its futuristic vision. This remarkable confluence of tradition and modernity, which defines her vision for Dubai’s cultural context, has been shaped by the deep insights she gained from her father, His Highness Sheikh Mohammed bin Rashid Al Maktoum, UAE Vice President and Prime Minister and Ruler of Dubai, and from the lasting legacy of her grandfather the late Sheikh Rashid bin Saeed Al Maktoum. 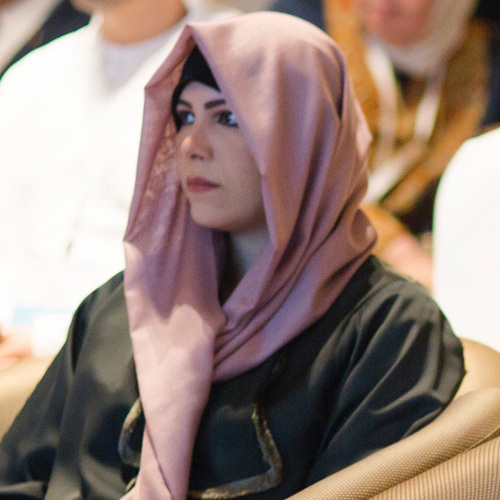 In her role as Vice Chairman of the Board of Directors of the Dubai Culture, she is dedicated to communicating the cultural narrative of Dubai and catalysing creative enterprises through landmark initiatives that reflect her father’s vision of a ‘happy, empowered, creative people,’ which also forms a pillar of the UAE’s Vision 2021. Over the years, HH Sheikha Latifa has been instrumental in bringing together the myriad cultural platforms of Dubai under one umbrella. Exemplifying her global outlook are Dubai Art Season, a flagship fine arts initiative of Dubai Culture, and the ‘Soul of Dubai,’ a path-breaking approach that not only chronicles the spirit of dynamism, progress, and cultural diversity of Dubai, while remaining true to its identity and heritage, but also nurtures the city’s talent in diverse artforms. Upholding strong family values – the very essence of the Emirati identity – HH Sheikha Latifa is an ambassador of the ‘Dubai Centre for Heritage Development,’ another initiative by Dubai Culture to strengthen national identity by incorporating Emirati heritage in the educational curricula. An avid reader and passionate writer, HH Sheikha Latifa serves as the Vice Chairman of the Emirates Literature Foundation and extends her support to the Foundation’s flagship event, the Emirates Airline Festival of Literature. She is a patron of Downtown Design, a testament of her desire to guide the city’s burgeoning creative artscape across all disciplines. In addition to her role at Dubai Culture, she ardently champions the importance of building leadership values in the UAE’s youth. She launched the ‘National Programme to Build Talent’ through a partnership of the Dubai Government Human Resources Department and Zayed University, to support the development of new generations of pioneering women talent who can contribute to the all-round development of the nation. Isobel taught at the Dubai Infants School for several years before her involvement in setting up Al Ittehad Private School and soon after co-founding Magrudy’s, a bookshop chain, in 1975. In addition to Magrudy’s, Isobel actively set about publishing children’s books in Arabic and English that have relevance to children from, and living in, the region. Together with the support of the Mohammad Bin Rashid Al Maktoum Knowledge Foundation, Isobel initiated a new reading and teaching scheme in Arabic, called Bustan Al Qusas, which empowered teachers to write and use their own stories. In 2008 Isobel founded and is Director of the Emirates Airline Festival of Literature, the Arab World’s largest celebration of the written and spoken word, bringing people of all ages together with authors from across the world to promote education, debate and, above all else, reading. The Festival won the Best Festival title at the Middle East Event Awards in 2013, 2014 and 2015, and in 2016 was declared Best Family Friendly Day Out at the Time Out Dubai Kids Awards and Favourite Festival at the What’s On Dubai Awards. Awarded the Cultural Personality of the Year by Dr HH Sheikh Sultan Bin Mohammed Al Qasimi, the Ruler of Sharjah in 2010, an OBE by HM Queen Elizabeth of Great Britain in 2012, Cultural Icon of UAE by The 3rd Petrochem GR8! Women Awards-Middle East 2013, one of the Watani Humanitarian Awards in 2013, the Al Owais Cultural Award 2014 and the Time Out Kids Outstanding Contribution to Children’s Award, Isobel has received official recognition for her tireless campaign to improve literacy and a love of books, particularly for children. 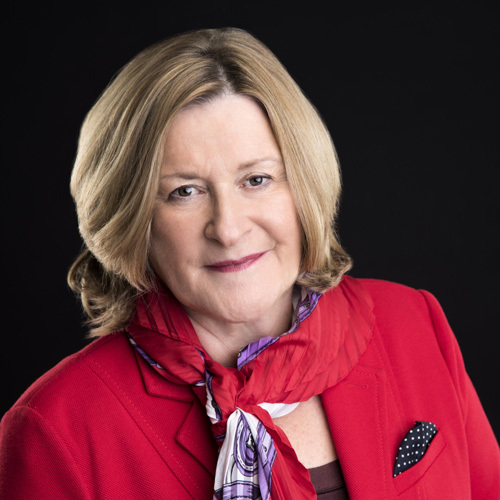 In May 2013 and 2014, Middle East Business selected Isobel as one of the most influential Brits and the most inspirational woman living in the UAE. She was also selected at the 2015 Femina Middle East Awards ceremony as an ‘Unstoppable Woman’. In 2016, Isobel accepted the UAE Pioneers Award for Best Non-Governmental Organisation for the Emirates Literature Foundation’s work in promoting reading initiatives during the UAE Year of Reading. PhD in Law from The University of Exeter – UK. Lecturer – Dubai Police Academy (2000-2003). Assistant to The Legal Advisor of The Government of Dubai – H.H. The Ruler’s Court (2000 – 2007). Director of The Legal Affairs Department – H.H. The Ruler’s Court (2007 – 2008). 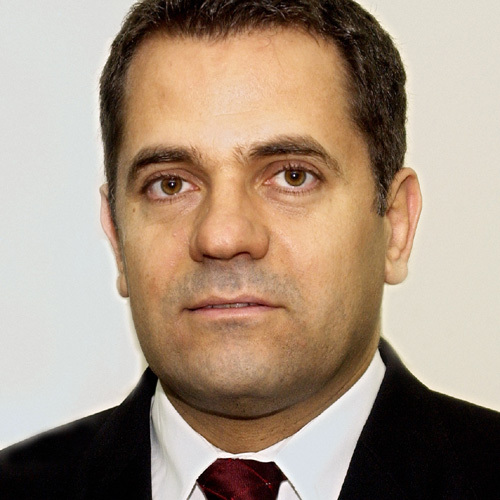 Director General of The Government of Dubai Legal Affairs Department (2008- to date). 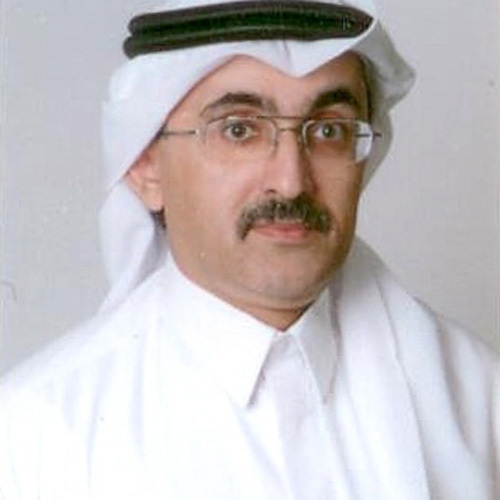 Member of The Board of Directors of The Dubai Judicial Institute (2001- to date). Member of The Executive Council of The Emirate of Dubai (2009- to date). Member of The Board of Trustees of Hamdan Bin Rashed Al Maktoum Award for Distinguished Academic Performance (2009- to date). 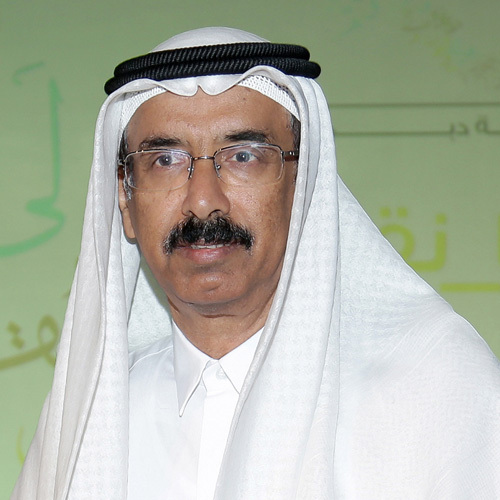 Member of The Board of Governors of The Hamdan Bin Mohamed Smart University (2009- to date). Member of The Board of Trustees of The Emirates Literature Foundation (2013-to date). Participated in Various Special Tribunals formed pursuant to decrees or resolutions issued by H.H. The Ruler of Dubai. The career of Professor Rafia Obaid Ghubash, the Founder of The Women’s Museum, has to be seen in the light of both the society in which she was born and the society she aims to educate. 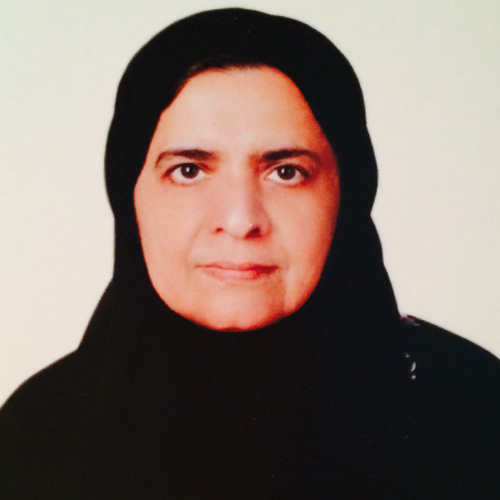 With a strong sense of history and equally strong values, she returned home to the UAE with a Phd in epidemiological psychiatry from London University in 1992, to start her academic career as an Assistant Professor of Psychiatry, in the newly established School of Medicine of the UAE University in Al Ain. Along with her academic achievements, which included teaching, research and clinical practice, Professor Ghubash also had administrative experience as she had held a variety of managerial positions. Her leadership skills had been recognized early, when she held the position of the Vice Dean and then Dean of the Medical School in Al Ain 2001. She undertook the challenging position of President of a GCC institution, The Arabian Gulf University 2001-2009. During her time in this role, she made efforts to raise the profile of the AGU both internationally, and regionally. Professor Ghubash has played an important role in the empowerment of women in UAE society, through her role as the President of the Arab Network for Women in Science and Technology and today, through the Women’s Museum. Chairman of Mohammed bin Rashid Al Maktoum Library Foundation and Emirates Literature Foundation Trustee. Mohammad Ahmad Mohammad Al Murr Al Falasi (born 1955 in Dubai) is a short-story writer from the United Arab Emirates. He has published over 15 volumes of short stories and has had two collections translated into English: Dubai Tales and The Wink of the Mona Lisa. Al Murr graduated from Syracuse University in the United States, and has been a member of a number of UAE academic institutions and councils. He is the former head of Dubai Culture & Arts Authority. In 2011, Al Murr was appointed to the Federal National Council’s 15th Chapter as a representative of the Emirate of Dubai, and elected uncontested as Speaker. 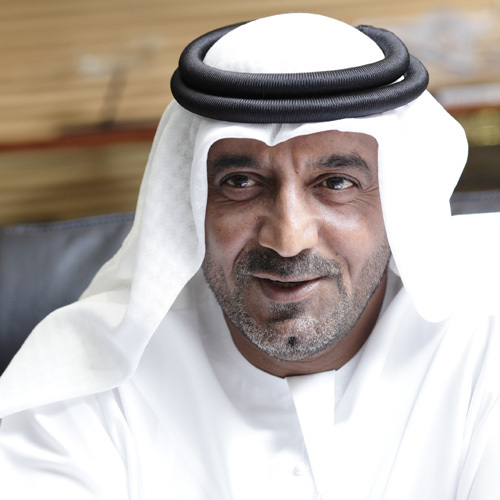 Al Murr currently serves as Chairman of Mohammed bin Rashid Al Maktoum Library Foundation. Boutros Boutros is Divisional Senior Vice President for Emirates’ Corporate Communications, Marketing and Brand department. He is responsible for all marketing and communications activities across the globe for the 80-plus businesses under the Emirates group umbrella. His remit includes – Advertising, Sponsorships, Events, Promotions, Merchandising, Public Relations, Internal Communications, Digital Communications, Creative Services, Social Media and Passenger Communications & Visual Services. In his over 2-decade career with Emirates, Boutros has played a key role in building the company’s global brand presence through strategic sponsorships and integrated marketing communications programmes. He oversees a team of over 250 professionals and more than 100 global agencies, representing the full marketing spectrum, in delivering creative marketing communications campaigns and solutions for Emirates Airline and Group. Boutros has over two decades of experience in journalism, public relations and marketing communications. Prior to joining Emirates, he was the London-based Business Editor of leading Pan-Arab daily newspaper Sawt Al Kuwait. Prior to that role he was Managing Editor for Al Hawadeth, a weekly Pan-Arab magazine. He also held roles at Dubai-based PR agency Bain Communications, where he managed a variety of clients in sectors including aviation, automobile, travel and tourism. He also led teams at P.S.L London, a multinational advertising and marketing firm in London specializing in the Middle East. Dr Hessa Abdullah Lootah was educated in the UAE, Egypt and the USA, receiving a scholarship from the Ministry of Education to study cinema. She was the UAE’s first female TV director and founder of the first Women’s Association in Dubai. After working as a director at Dubai TV she returned to the United States to pursue her graduate studies at Ohio University, obtaining an MA in Media and Development and a PhD in Mass Communication in the field of Gender Studies and Cinema. Her PhD proved to be a turning point, both in introducing her to Western theories (which she used as a departure point in pursuing her own research) and in allowing her to interact with prominent intellectuals. 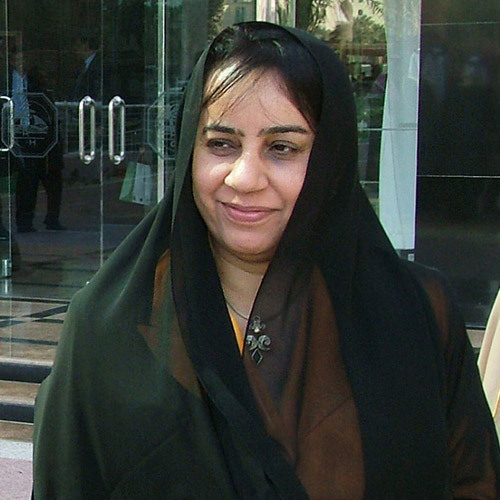 She later took on various prominent roles in the UAE, including Head of the Department of Mass Communication at UAE University, a member of the National Media Council, author of a number of important studies on technology and media, and in 2013 became a Trustee of the Emirates Literature Foundation. She was also one of the recipients of the UAE Pioneer Awards in 2015. In 2017, Dr Lootah received the Emirates Airline Festival of Literature Festival Personality Award for her services to the Foundation and in recognition of her major contribution towards fostering literacy, education and love of literature in all its forms. Sir Maurice was a much-loved figure in the aviation industry. A fortuitous interruption of his wedding anniversary celebrations in 1985 led him to pioneer his greatest achievement, becoming a key architect of Emirates Airline. Under his leadership, Emirates Airline, which began with two borrowed airplanes, grew to a 230-strong international nexus for travel, effectively putting Dubai on the global map. ‘Maurice was a man of great character, and a legend in the aviation industry,’ Sheikh Ahmed bin Saeed Al Maktoum, Chairman and Chief Executive Emirates Airline & Group, said. Born in 1928, Sir Maurice looked to be destined for a life in sports. A talented footballer, he was set to play for the Blackburn Rovers when a knee injury ended his chances. ‘I think wrecking my knee was the smartest career move I ever made,’ he was once quoted as saying. Sir Maurice’s work with the airline did not hinder his passions; they amplified them. As well as sponsoring teams and stadiums around the world, he was able to nurture his creative side through the launch of the Emirates Airline Festival of Literature. Sir Maurice was an avid reader, and liked different writers at different times in his life: Charles Dickens, William Cobbett, Dr Johnson, Evelyn Waugh, Elmore Leonard, PG Wodehouse, Graham Greene, Raymond Chandler, and Damon Runyon. He enjoyed the humour in all of them but also, apart arguably from Wodehouse, the seriousness and morality. That’s true too of his favourite thriller writers such as Mark Billingham, Ian Rankin, John Le Carre and Len Deighton. Sir Maurice was a master of clear writing. His poetry reflected his great loves – his love of flying and his family, especially his wife – and his poems were reminiscent of the works of his favourite poets, Dylan Thomas, Gerard Manley Hopkins and Roger McGough. Powerful words interspersed with daring lines of humour. They were an apt reflection of the man himself. 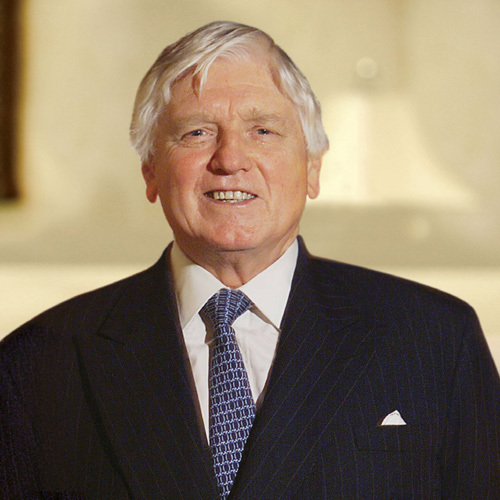 A constant figure at the Festival, Sir Maurice’s love for the arts led him to become a Trustee of the Emirates Literature Foundation, established in 2013 by His Highness Sheikh Mohammed bin Rashid Al Maktoum, UAE Vice-President & Prime Minister and Ruler of Dubai. The fruits of his efforts continue to be sowed as the Festival and the Dubai International Writers’ Centre, under the aegis of the Foundation, work towards building a culture of reading and writing in the country. Queen Elizabeth II made Sir Maurice Knight Commander of the Order of the British Empire in 2010. During his long career, he also received numerous aviation honours. In 2015, Sir Maurice passed away, aged 86. He is survived by his wife, Audrey, son Julian, and his daughters, Siobhan and Claire.